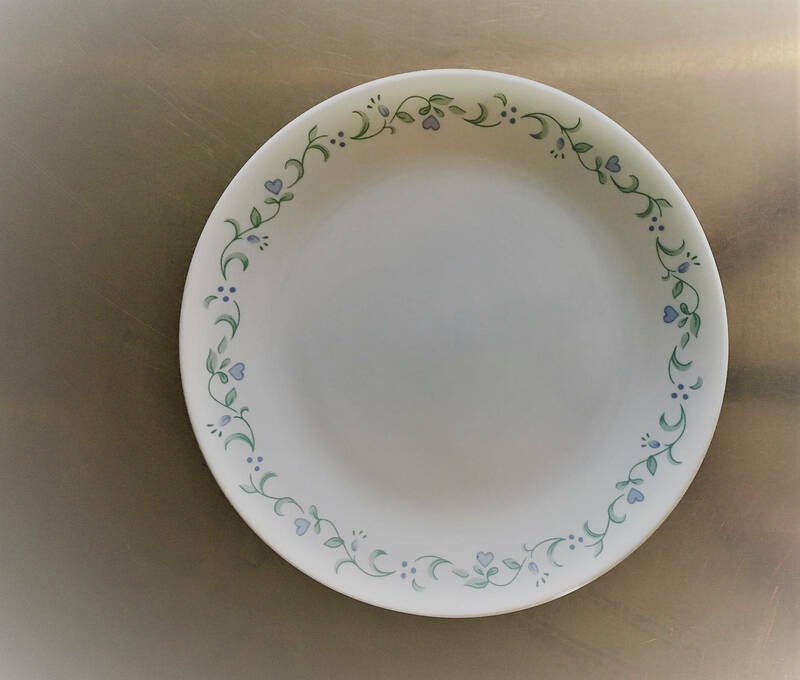 Featured here is a pair of 10 1/4 inch dinner plates in Corelle's classic Country Cottage pattern. 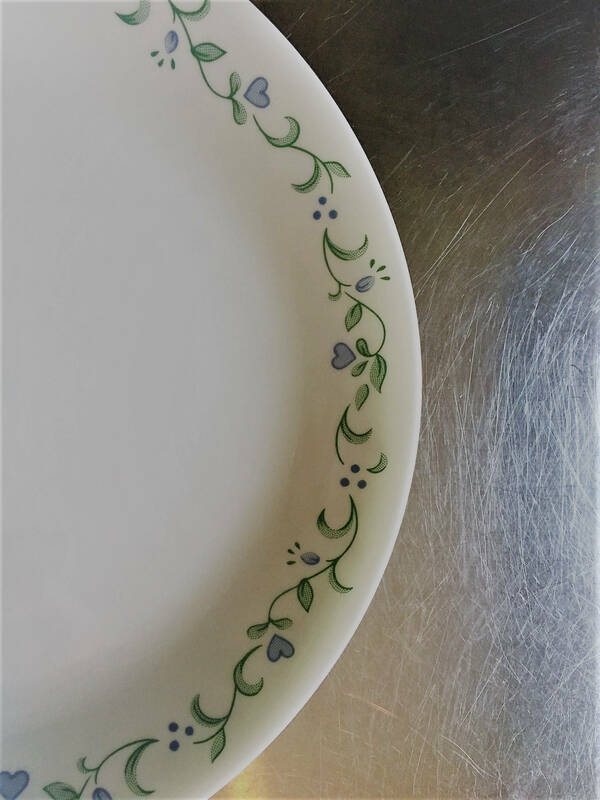 This pattern is characterized by the lavender flowers and hearts around the rim of the plates. These are in excellent condition, free from chips or cracks. 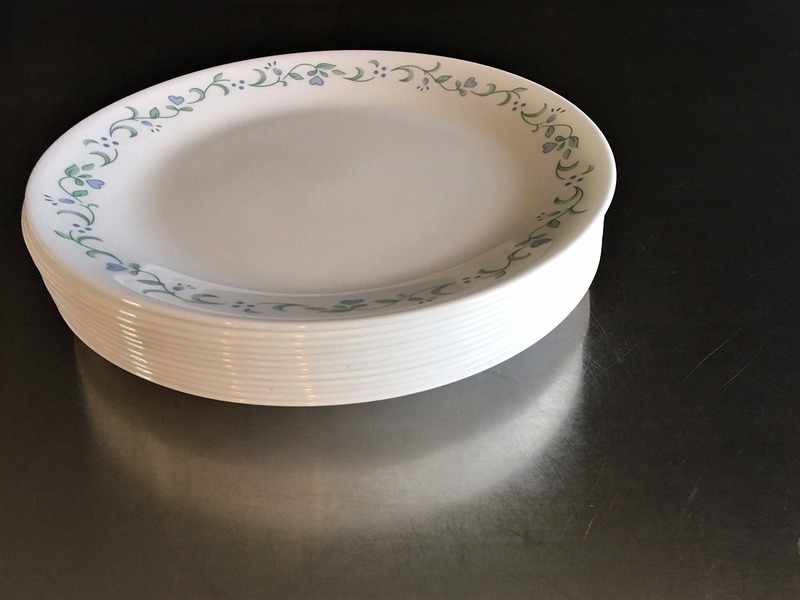 Add to your existing collection or use as a great set for the college dorm of studio apartment. 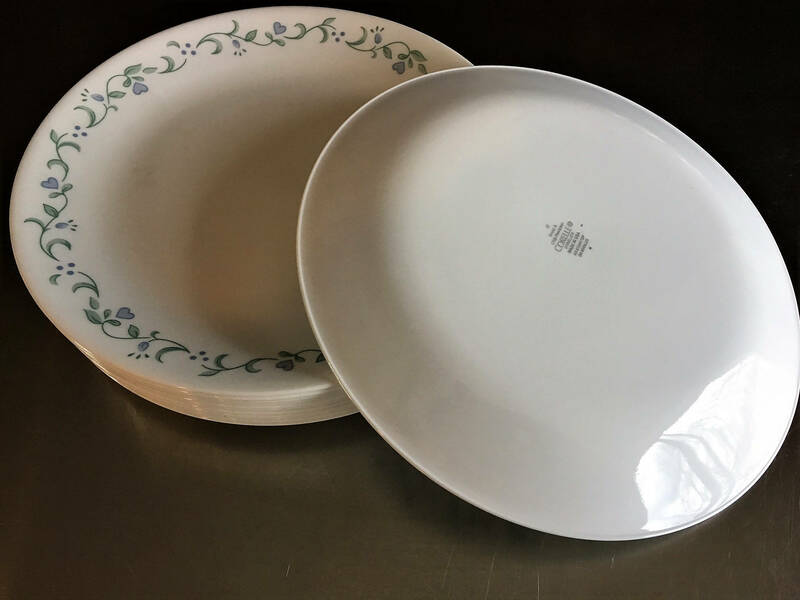 Be sure to check out my other Corelle products at my shop.